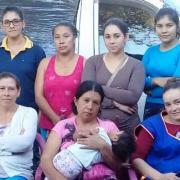 Leners in deze groep: Maria, Petronila, Jacinta, Manuela Gilda, Sandra, Tomasa, Gisela Susana, Tomasa, Martina. 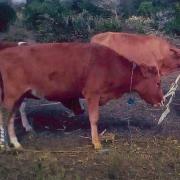 This loan helps to buy three calves that she will fatten up and then sell in the local market. The department/state of Quiche has a rich and enduring culture. The Maya people who live here hold fast to their traditions, including colorful regional clothing, foods and regional dances. It is the home of nine Maya K’iche ladies who wear their colorful traditional “traje” or “outfits” every day. Their average age is 40, and they have no formal education. They are determined to educate their children with the income from their small businesses that include raising livestock (chickens, pigs, cows) and repurposed tin soda cans (made into cups and plates). 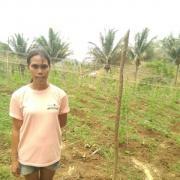 This is their second Kiva loan cycle. Manuela, a 43-year-old mother of six children, all over the age of 3 years, has worked hard to send her children to school. The two oldest have a sixth grade education and are married. The others are in the second through sixth grades. Manuela has a livestock business and raises cattle. 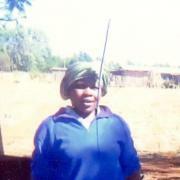 She is requesting a Kiva loan to buy three calves that she will fatten up and then sell in the local market. The ladies meet monthly to make loan payments and then participate in educational trainings, part of the “Microcredit Plus” program of loans, educational trainings and healthcare services. This month, the women learned about health. They also learn about effective business practices, family issues and how to empower themselves. Kiva lenders provide a most valuable service in funding their loans, giving them an opportunity to step into a brighter future. Thank you to each of you!